View from the Arizona Sonora Desert Museum, east of Tucson. On the way back from the exhibition at Lotusland in Santa Barbara, CA we reveled in the expansive desert landscapes of Arizona. 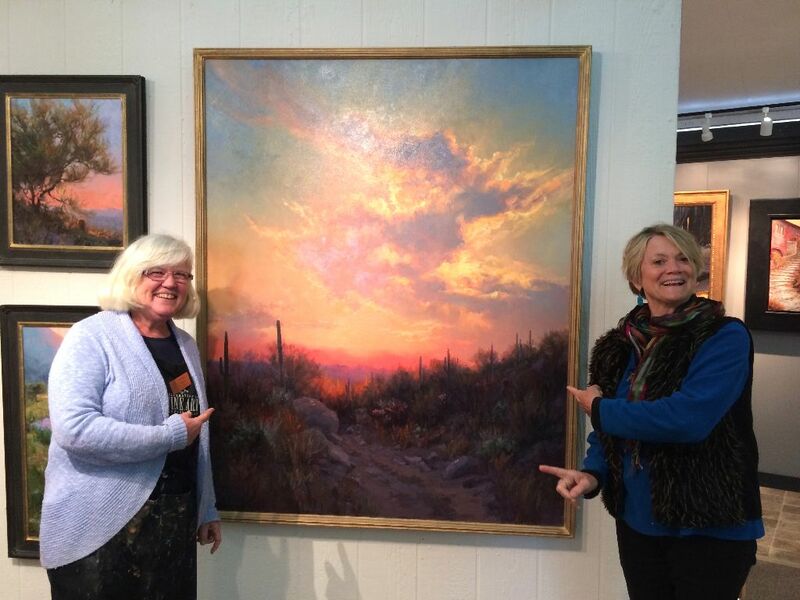 In Scottsdale we visited friend and fellow artist, Becky Joy. She was in a great show called the Celebration of Fine Art. All of the work was of outstanding quality and very diverse. There was sculpture in wood, bronze and clay; paintings in oil, acrylic, and watercolor; artful basket making, ceramics and fine jewelry and more. It was all there. 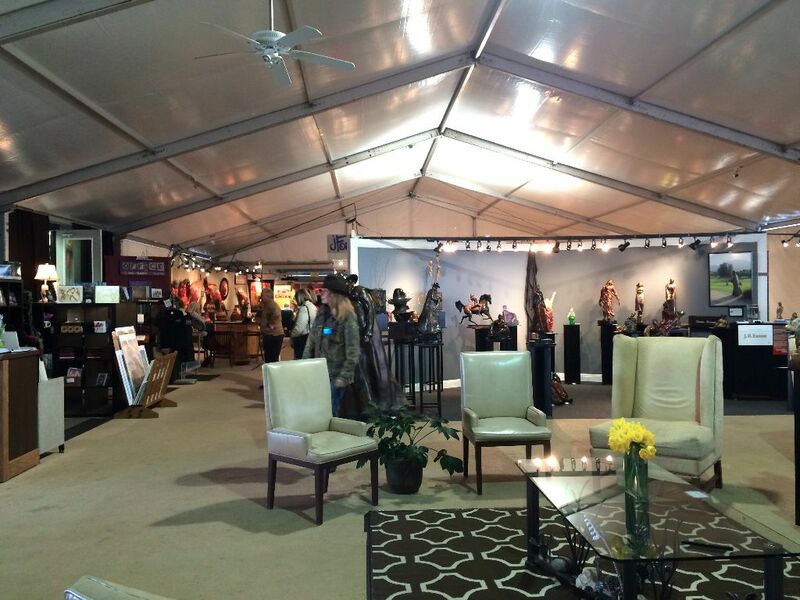 According to their website it is a “juried, invitational show and art sale featuring more than 40,000 square feet of working studios and works of art by 100 renowned and emerging artists from across the country.” Pretty impressive. Temporary shows can be grueling. It takes a lot of energy to set up and break down for just a few days of exhibiting. Becky has been participating in the Celebration of Fine Art for more than a decade. It presents unique challenges since it lasts for 10 weeks, so the set up lasts longer but you spend 70 days captive in your studio/gallery working and chatting with visitors. That’s a lot of chatting. A photo of my booth. I think this was in Glastonbury CT. Or maybe Syracuse, NY. 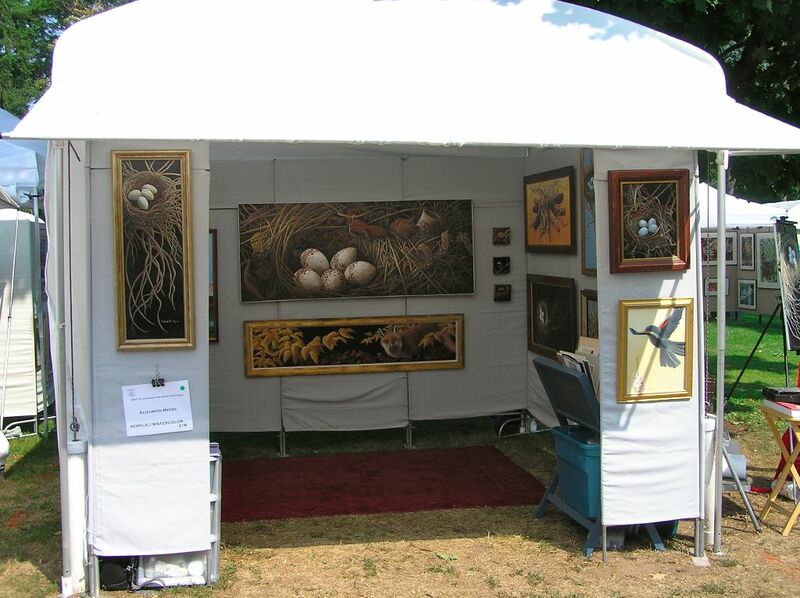 I’ve participated a lot of juried outdoor art shows as well as winter weekend shows in civic centers and large spaces. It’s a great way to meet people and share your work. I’ve have been interested in this one for several years. It was great to get a chance to see it first hand. Do you go to outdoor exhibitions or this sort of art/craft fair? « Lotusland: Obstacles, Goals and Success!